Since its successful launch in February, Cleveland County Lifestyle magazine has received much praise on its content and beautiful photos and layout from readers and advertisers alike. To show our thanks for welcoming us into your homes, we are issuing an invitation to the first 30 readers who RSVP for the event to attend the magazine’s first networking celebration, scheduled from 6 to 8 p.m. Tuesday, May 3, at Oliveto Italian Bistro, 1301 S. I-35 Service Road in Moore. Two 89er Day celebrations are planned locally in April. The day commemorates the Oklahoma Run of 1889, when Oklahoma was opened for settlement. On April 16, downtown Lexington will be the site of a full day of activities, including a carnival, rides, a car show, live music, arts and crafts booths, and of course, food. A highlight of the event, set from 9 a.m. to 5 p.m., is a parade at 2 p.m. This year’s Norman parade, set for April 30, will celebrate, decade by decade, the history of this vital community from 1889 to the present. Women (men, too) interested in growing their networks with other businesswomen and community leaders, while also supporting and mentoring University of Oklahoma student-athletes, are invited to a celebration planned for April 27 by Sooner Stilettos. OU women’s basketball head coach Sherri Coale created Sooner Stilettos in November 2003 to involve female community and business leaders with the team. Her idea was to recruit successful women who could then serve as role models for the student-athletes. Members attend exclusive events throughout the year, enjoy a myriad of networking opportunities and provide programming support for the student-athletes and other Sooner Stilettos. “While the benefits are plenty, the impact on the lives of student-athletes goes on forever,” said Mary Pointer, Sooner Stilettos president. To join, visit SoonerStilettos.com or call the OU Women’s Basketball Office at 325.8322. The April party will be held at the home of Justice Yvonne Kauger. Sandra Wells, a local outdoors expert, will present a clinic on hammock camping Thursday, April 14, at Backwoods Norman, 1268 N. Interstate Drive. This is a form of camping in which a camper sleeps in a suspended hammock rather than a conventional tent on the ground. Since they require no poles and less material, they tend to be a significantly lighter option. The clinic, which is free and open to the public, serves as the launch of Common Cargo hammocks at Backwoods. The clinic is set from 6 to 7 p.m. For more information, call 573.5199. A four-day action-packed adventure for eighth-graders sponsored by Oklahoma Electric Cooperative will be offered May 31 through June 3 at Canyon Camp, near Hinton. Energy Camp helps develop leadership skills and promotes teamwork while teaching about cooperative enterprises, the rural electrification program and electrical safety. Each year, OEC sponsors two students to the camp. While Energy Camp offers many traditional summer camp activities like swimming, hiking, basketball and a ropes course, teens also have the unique opportunity to climb a utility pole, ride in the basket of a bucket truck, tour one of the largest electricity generating facilities in the state and watch a co-op crew at work. They’ll take home a new-found confidence and a host of new friends—like-minded peers from all over Oklahoma. Students currently enrolled in the eighth grade within OEC’s service territory are eligible to compete for a spot at Energy Camp. To learn more, visit www.okcoop.org/energycamp or email tory@okcoop.org. Huntington Fine Jewelers is holding a PANDORA Bracelet Event, and they hope you’ll attend. Whether you’re looking for a perfect gift or wanting to start a new bracelet for yourself, this will be a great opportunity for you to check out their selection. Through April 2, customers will receive a free PANDORA Bracelet with any PANDORA purchase of $100 or more. Huntington Fine Jewelers is located off 104th and S. Western Ave. in Oklahoma City. For more information, call 692.4300. Got lots of unwanted “stuff”? 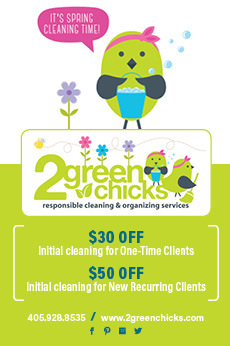 Ready for a big spring cleaning? Instead of tossing your unwanted items into the garbage, thus adding unnecessary waste to the landfill, why not consider having a garage sale, where you can make a little money while finding a good home for your old pots and pans, clothes that no longer fit you or suit your needs, or unused bikes or sporting goods that are taking up valuable garage space? If you live in Moore, plan your garage sale for April 28-30 and May 1, and you can have that sale without even purchasing a permit. 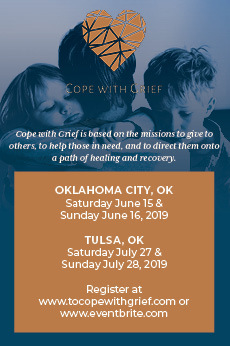 Just register by calling 793.5000 or visiting cityofmoore.com. Or, just enjoy the fruits of others’ labors, and map out your own treasure hunt. Fans of Ray Bradbury, book lovers and wannabe gardeners are just some of the folk who will want to bookmark events planned through April throughout the Pioneer Library System. Learn to Crochet, 2 p.m. Sunday, April 3, Norman Public Library West. For teens 12 and up and adults. All materials provided; registration required. PLS’ Big Read Presentation by Sam Weller, official biographer of Ray Bradbury, 6 p.m. Friday, April 8, Fred Jones Jr. Museum of Art, OU Norman campus. Green Thumb: Container Gardening and Plant Exchange, 9:30 a.m. Saturday, April 16, Moore Public Library. Includes a lesson from representative from the Cleveland County Master Gardeners on container gardening and a chance to share ideas and extra plants, cuttings, seedlings and seeds with other gardeners. Novels at Night Book Club, a new book discussion group for those 18 and older, launches at 5:30 p.m. Tuesday, April 19, Noble Public Library. The first book is Dog Stars by Peter Heller; copies available at the Information Desk. A dramatic presentation of Bradbury’s Fahrenheit 451, 7 p.m. Saturday, April 23, Hillsdale Free Will Baptist College Auditorium, Moore. A community cast will perform the play version of the novel, directed by Paul Austin and produced by Namron Players Theatre, as part of the PLS Big Read. Friends of the Norman Library Better Book Sale, April 29-May 1. Proceeds benefit programs and activities at Norman’s libraries throughout the year. Do It Yourself Beekeeping in the City, 6:30 p.m. Tuesday, April 19, Southwest OKC Public Library. Doug Schwarz of 40 Pure Honeybee Services will discuss the ins and outs of beekeeping during the program, which is for ages 18 and up.